A new slimmer version of the popular Big Grips Frame and Stand, the thin profile of the Slim is designed to fit in most standard charging and storage trolleys. Please note: Big Grips Slim Frames and Stands are not VAT exempt – you must add VAT to the prices below. 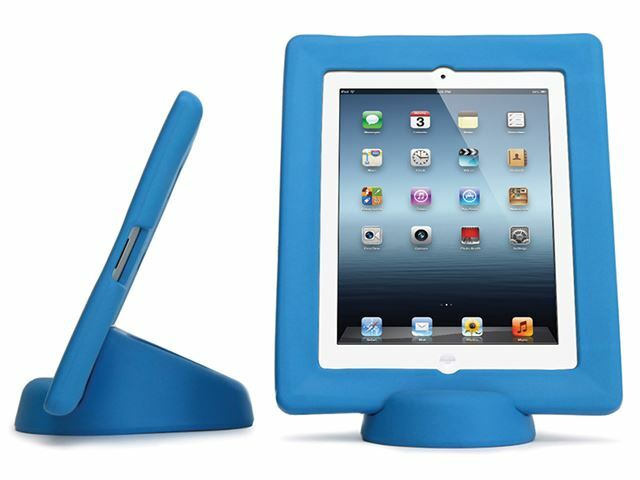 Excellent protection for your iPad. Resistant to oils, chemicals, stains, moulds and germs. Unobstructed cameras, Wifi antenna and ambient light sensor. Dimensions: 20.6mm x 292mm x 231.8mm. Check with trolley manufacturer to ensure proper fit. Matching stand available. Please note: Big Grips Frames and Stands are not VAT exempt and VAT must be added to the prices above. Please note: although we cannot guarantee the safety of your iPad, we do provide a one year warranty on Big Grips Frames and Stands. Please specify colour when ordering. iPad not included. 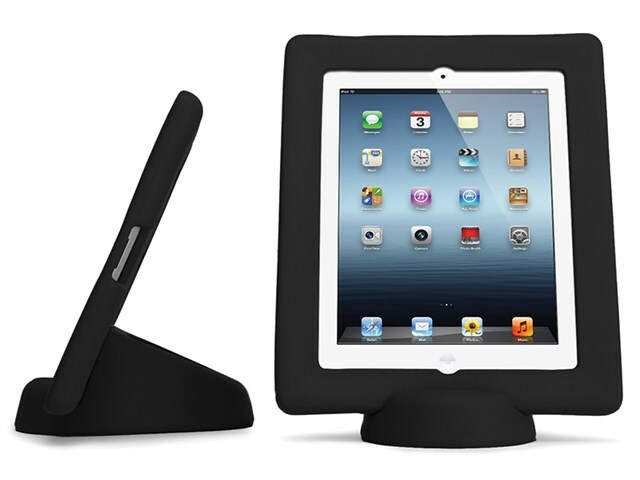 Buy your frame and stand separately or buy them together to save money! (bundles are the same colour).